Sight fishing on the flats, combines many of the elements of hunting and fishing. You see the fish, before you cast to it. 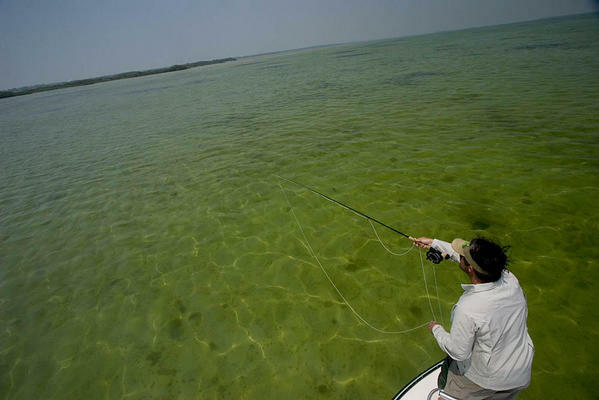 Whether you are fly fishing for permit, throwing a surface plug at tarpon or live shrimp at bonefish or redfish , seeing the fish turn and eat is a thrill. For the shallow water angler, fly fishing or spin fishing, the rewards are great. The fish are incredibly large, fast and strong.